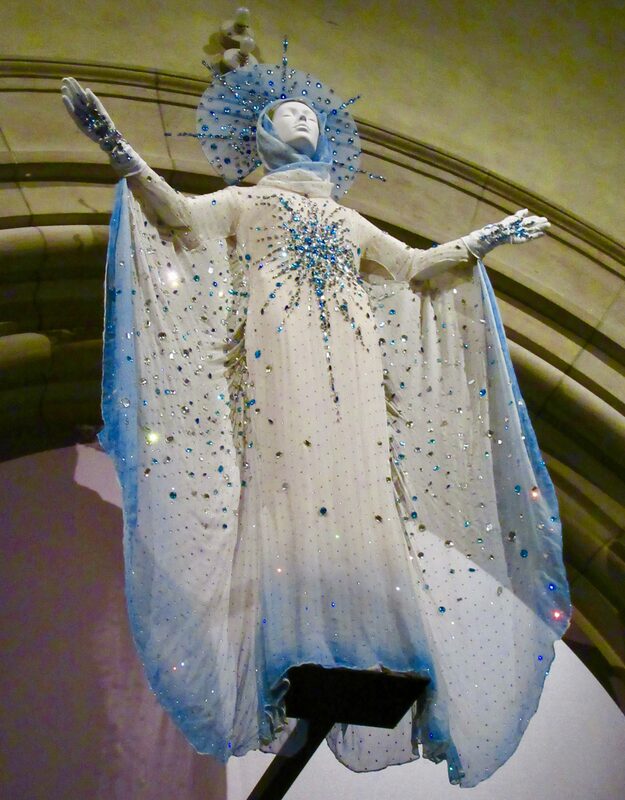 This ensemble by Thierry Mugler, entitled Madonna, served as the finale to his tenth-anniversary collection, which was staged at Le Zenith, and indoor in Paris. The model Pat Cleveland wore it as she was lowered from the ceiling of the auditorium in a cloud of dry ice, as if descending from heaven. 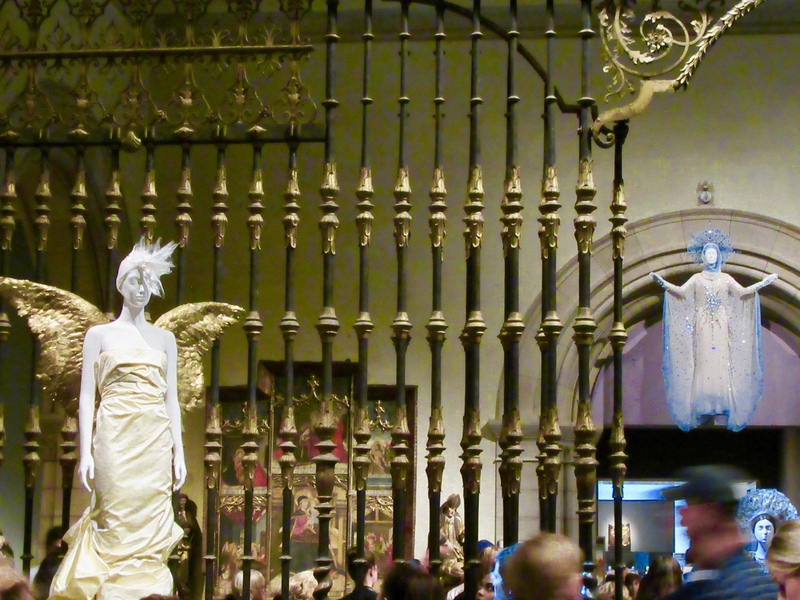 Its placement this area — a museum passage archway — emphasizes links to ascension, and particularly the dogma of the Assumption of Mary, which asserts that her body and soul were assumed into heaven’s glory as her life’s end. The color of the dress refers to another dogma: the Immaculate Conception, or the belief that the Virgin Mary was born free from the stain of original sin. In artistic representations, (especially after 1854, when Pope Pius IX proclaimed the dogma), she often wears a white tunic with a blue mantle. 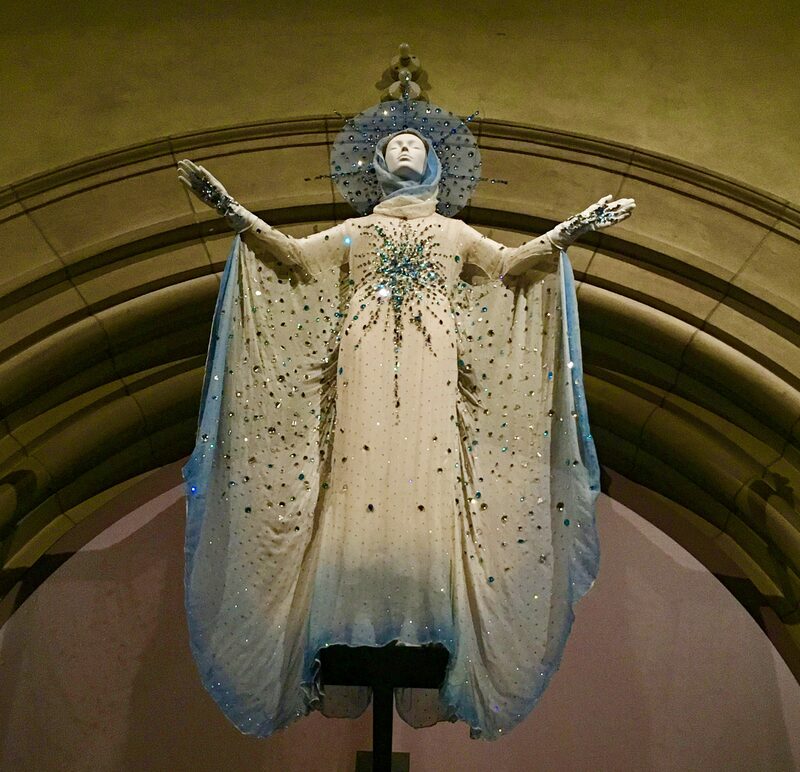 Photographed as Part of the Exhibit, Heavenly Bodies: Fashion and the Catholic Imagination, On View Through October 8th, 2018 at the Metropolitan Museum of Art (at both the Fifth Avenue and Cloisters Locations) in NYC.